Browse our listings for courses that ensure current, leading-edge knowledge. ATSU's wide array of resources support your commitment to excellence. 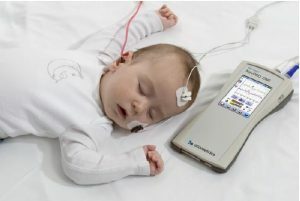 A discussion and demonstration will be provided on how the Otometrics Biologic AudX or AudX Pro otoacoustic emissions devices are utilized for pediatric and adult audiometric evaluation. Clinical considerations in use of otoacoustic emissions and types of otoacoustic emissions will be discussed. A step by step demonstration will also be provided. In addition, a discussion and demonstration of OAE assessment in the pediatric and adult population including considerations such as calibration, stimulus type and reporting results will be provided. In addition, a discussion and demonstration will be provided on how various systems are utilized for evoked potentials such as ABR, ECochG and ASSR. The basics of evoked potentials will be reviewed along with a discussion of threshold assessment in both ABR and ASSR with hands-on practicum. The day will end with a review of frequently asked questions regarding all aspects of evoked potentials. The benefits of the use of evoked potentials to both the clinician and patient will be presented. Patient database management will also be presented including integration with OTObase. OTObase is a tool utilized to integrate any NOAH compatible devices/applications into an Electronic Medical Record (EMR) system. Email: jason.faloon@natus.com or jeanette.fitzke@natus.com by April 1st, 2019. Otometrics, a division of Natus, is approved by the American Academy of Audiology to offer Academy CEUs for this activity. The program is worth a maximum of 2 CEUs. Academy approval of this continuing education activity is based on course content only and does not imply endorsement of course content, specific products, or clinical procedure, or adherence of the event to the Academy’s Code of Ethics. Any views that are presented are those of the presenter/CE Provider and not necessarily of the American Academy of Audiology. This course is offered for up to .2 AAA CEUs. 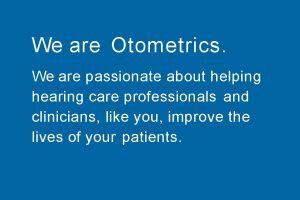 Otometrics, a division of Natus, is the audiology industry leader. For more than 50 years, Otometrics has been helping hearing and balance care professionals improve the quality of life for their clients and patients by delivering expert knowledge, reliable solutions and services and trusted partnership. Otometrics develops, manufactures and markets audiological, otoneurologic and vestibular instrumentation in more than 80 countries under the Otometrics brands, including Madsen®, Aurical®, ICS®, Oscilla®, Otoscan® and Bio-logic®. Otometrics is a strategic business unit of Natus Medical Incorporated (North America NASDAQ: BABY) — a US-based leading provider of healthcare products, devices and services used in the newborn, neurology, sleep, hearing and balance markets. For more information, please visit www.otometrics.com or www.natus.com. This course discusses the role of athletic training within the current healthcare system and the important role of practice-based research to improve the effectiveness of healthcare delivery and patient outcomes. Please note that following the three modules, you will be asked to answer 10 knowledge questions about the content presented in the modules. Additionally, be sure to view each module in its entirety. It is recommended to take notes as you will not be permitted to return to a module once you proceed forward. To receive 0.75 EBP CEU for this home study course, you must receive at least a 70% on the knowledge assessment. Following the completion of the course and knowledge assessment, you will receive an email from the AT-PBRN informing you of your score as well as your EBP CEU certificate, if warranted. Please note it may take 4-5 days to receive this email. Please note that following the four modules, you will be asked to answer 10 knowledge questions about the content presented in the modules. Additionally, be sure to view each module in its entirety. It is recommended to take notes as you will not be permitted to return to a module once you have proceeded forward. To receive 1.25 EBP CEUs for this home study course, you must receive at least a 70% on the knowledge assessment. Following the completion of the course and knowledge assessment, you will receive an email from the AT-PBRN informing you of your score as well as your EBP CEU certificate, if warranted. Please note it may take 4-5 days to receive this email. Please note that following the first three modules, you will be asked to answer 12 knowledge questions about the content presented in the modules. Then, after viewing the last three modules, you will be asked to answer 13 knowledge questions about the content presented in those modules. Additionally, be sure to view each module in its entirety. It is recommended to take notes as you will not be permitted to return to a module once you have proceeded forward. To receive 3.0 EBP CEUs for this home study course, you must receive at least a 70% on the knowledge assessment. Following the completion of the course and knowledge assessment, you will receive an email from the AT-PBRN informing you of your score as well as your EBP CEU certificate, if warranted. Please note it may take 4-5 days to receive this email. This online, narrated course provides the dental professional with a comprehensive overview of ethics terminology, a model for ethical decision-making, and a discussion regarding sexual boundaries in the dental setting. A complementary course to Clinical Dentistry and Ethics, the dental practitioner will learn how to avoid and resolve ethical dilemmas in their own practice through use of case studies and application of common sense guidelines. Explain the definition of ‘profession’ and aspects of professionalism. Describe the difference between morals and ethics. Define common terminology related to ethics. Describe challenges related to ethical dilemmas. Apply a model for ethical decision-making to a dental dilemma. Explain professional responsibilities towards incompetent, dishonest, or impaired colleagues. Explain the importance of Professional Boundaries. Describe the spectrum of Professional Boundaries. Explain the concept and scope of Social Justice. This course may be used toward fulfillment of continuing dental education and renewal requirements of Arizona Administrative Code R4-11-1203 and R4-11-1204 for ethics and Arizona dental jurisprudence instruction. Dr. Altman is Dean of the College of Graduate Health Studies at A.T. Still University. Dr. Altman has not declared an financial conflicts of interest related to this course. This course is hosted on the website of the World Continuing Education Alliance. Payments and registration are completed through WCEA. Course refund and cancellation policies are provided at the time of registration. This course complements information provided in Dental Ethics and explores ethical considerations related to informed consent, treatment of certain patient populations, and participation in professional volunteer activities. Participants will gain knowledge that can be immediately applied to their professional practice to prevent and manage ethical issues. 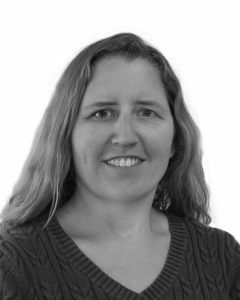 Discuss the purpose of Informed Consent and the role it plays in daily dental practice. Explain HIV issues in dentistry. Describe ethical challenges when dealing with mentally challenged patients. Describe ethical issues related to participation in professional volunteer activities. Identify ethical issues present in a clinical dentistry case study. This course may be used toward fulfillment of the continuing dental education and renewal requirements of Arizona Administrative Code R4-11-1203 and R4-11-1204 for ethics and Arizona dental jurisprudence instruction. Please note that following the five modules, you will be asked to answer 10 knowledge questions about the content presented in the modules. Additionally, be sure to view each module in its entirety. It is recommended to take notes as you will not be permitted to return to a module once you have proceeded forward. To receive 1.75 EBP CEUs for this home study course, you must receive at least a 70% on the knowledge assessment. Following the completion of the course and knowledge assessment, you will receive an email from the AT-PBRN with your EBP CEU certificate, if warranted. To receive 1.50 EBP CEUs for this home study course, you must receive at least a 70% on the knowledge assessment. Following the completion of the course and knowledge assessment, you will receive an email from the AT-PBRN with your EBP CEU certificate, if warranted. To receive 0.75 EBP CEUs for this home study course, you must receive at least a 70% on the knowledge assessment. Following the completion of the course and knowledge assessment, you will receive an email from the AT-PBRN with your EBP CEU certificate, if warranted. ** PLEASE NOTE: Some web browsers (ie, Safari) may alter the appearance of this home study course. If you have difficulties with the appearance of the material, we recommend you try a different web browser. Thank you. The Department of Continuing Education serves as a learning-centered support structure dedicated to providing quality professional development and outreach opportunities for healthcare professionals through innovative academic programs with a commitment to our osteopathic heritage, a focus on whole person healthcare, scholarship, community health, interprofessional education, diversity, and underserved populations. Our team supports each ATSU school and its graduates and the professional community to fulfill their potential throughout their careers and ultimately impact patient care and well-being. We strive to improve professional knowledge and skills; fosters a positive impact on patient outcomes; expose clinicians to new information, and develop an interdisciplinary healthcare team approach to treating patients and improving community/population health through the development and implementation of cost-effective, evidence-based continuing education programs. Our goal is to provide the education you want and need. Please complete this short form to help us provide better service to you. All inquiries should be directed to the Department of Continuing Education.